Canadian actress who became known to television audiences as Amy Abbott on the TV series Everwood. 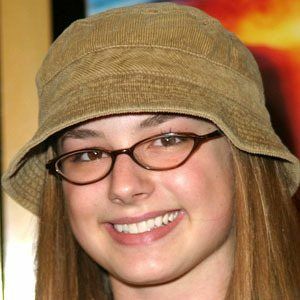 She also played Emily Thorne on the ABC series Revenge. She also appeared in the 2014 film Captain America: The Winter Soldier. She moved to Montreal at age 12 to train in ballet. She has had a starring role on TV's Brothers & Sisters. She has three sisters named Molly, Katie, and Alison. In 2011, she began dating Revenge co-star Josh Bowman. They got engaged in May 2017 and married in December 2018. She co-starred with Dan Byrd in the 2010 film Norman.